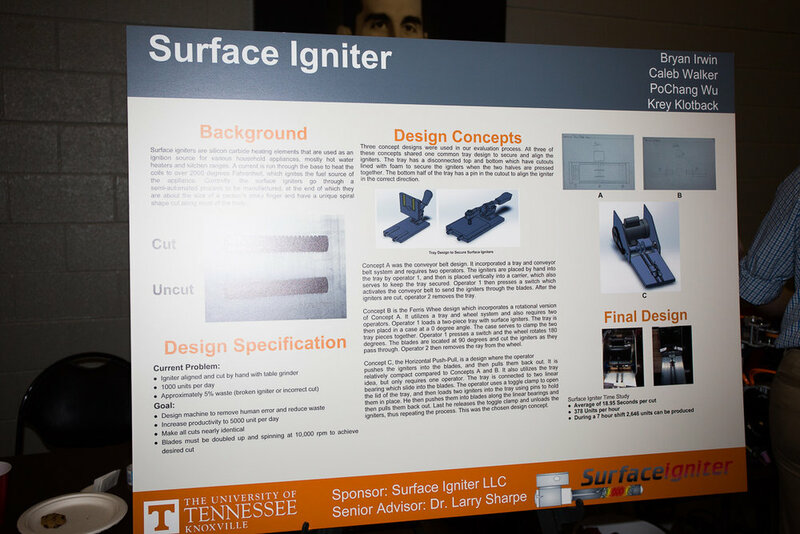 The MABE Senior Design Showcase was held Thursday afternoon, April 27, at the Thompson Boling Arena Concourse, University of Tennessee. 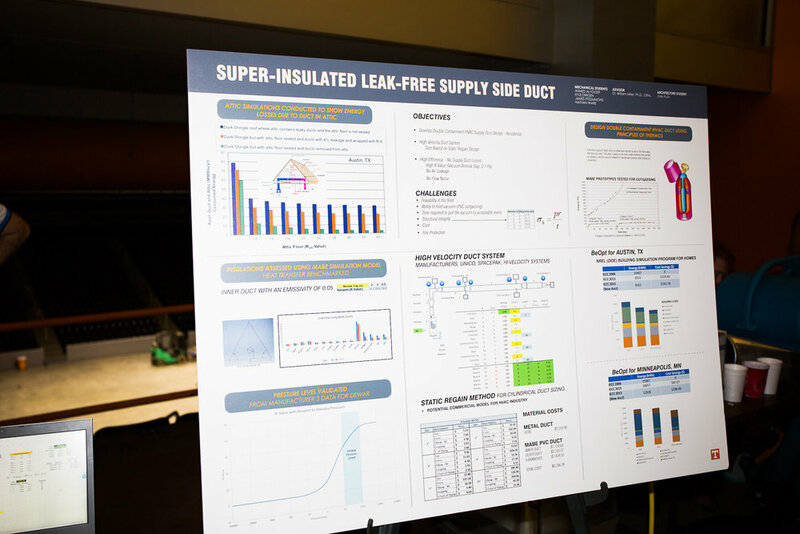 MABE is an acronym for Mechanical, Aerospace, and Biomedical Engineering, and almost 40 design projects were on display, accompanied by their creators - soon-to-graduate seniors of the Mechanical Engineering Department. 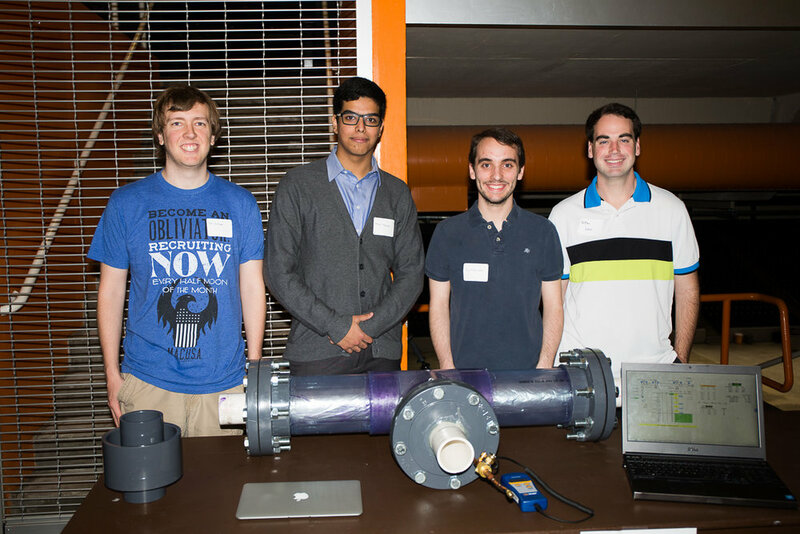 Our own ASHRAE student group, along with their faculty sponsor, Dr. Bill Miller, participated, demonstrating the ductwork project that was featured in our April meeting. Dr. Miller also had a second student group, demonstrating a two-phase energy storage project. This group demonstrated a technology that could save substantial amounts of energy at Hodges Library. Other participants included groups sponsored by local and regional manufacturers and organizations such as Young-Williams, Denso Manufacturing, and Tennessee Eastman. Of particular interest was the Design-Build-Fly team, which designed and built a working, scale-model aircraft. The aircraft did fly, did some fundamental maneuvers, but then failed upon being challenged with advanced arobatics. The pieces were on display at the showcase. Engineering student and part-time quarterback Josh Dobbs participated on this team, but had to leave early for a "job interview" (draft time? ).